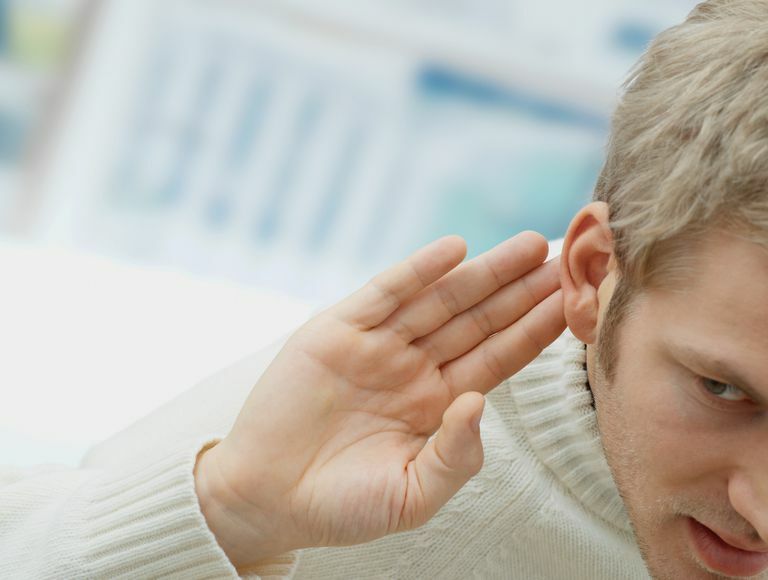 Hearing loss is not uncommon in people living with HIV, and until recently there has been contention as to whether HIV therapy; the chronic inflammation associated with long-term infection; or HIV itself might be a contributing factor to such loss. Back in 2011, a five-year analysis conducted by the University of Rochester in New York concluded that neither HIV infection nor its treatment was associated with hearing loss. The analysis, which included data from two long-standing cohorts—the Multicenter AIDS Cohort Study (MACS) and the Women's Interagency HIV Study (WIHS)— evaluated the optoacoustic emissions (i.e., the sounds given off by the inner ear when it is stimulated) in 511 patients with HIV. Based on the results, the researchers concluded that the of rate hearing loss among study participants was no difference—and maybe even less—than that of the general U.S. population. By 2014, however, the same research team revisited the issue, and this time assessed whether middle-aged patients with HIV—ranging in age from early 40s to late 50s—could hear a variety of tones ranging from 250 to 8000 hertz (Hz) at different volumes. This time, the results were very different: both HIV-positive men and women had difficulty hearing high and low tones, with hearing thresholds 10 decibels higher than that of their non-infected counterparts. While hearing loss at higher frequency (over 2000 Hz) is common in middle-aged adults, lower frequencies generally remain intact. In the HIV-positive group, the consistent loss of both low- and high-frequency hearing was seen to be significant and occurred irrespective of disease stage, antiretroviral therapy, or adherence to therapy. The contradictory nature of the studies only serves to highlight the plethora of questions that remain unanswered, not only as to whether hearing loss in directly or indirectly linked to HIV, but what mechanisms, if any, may be responsible for such loss. Is Hearing Loss Simply an Issue of Age? Given the design of the MACS and WIHS research, some might conclude that HIV simply "adds" to the natural hearing loss seen in aging adults. Certainly, it is acknowledged that the persistent, long-term inflammation associated with HIV can cause premature senescence (premature aging) in a number of organ systems, including the heart and brain. Might it be reasonable to suggest that the same might happen with a person's hearing? A number of researchers are not so sure. One study from the Taipei Medical Center in Taiwan aimed to assess hearing loss in a cohort of 8,760 patients with HIV and 43,800 patients without HIV. Hearing loss was evaluated based on medical records over a five-year period from January 1, 2001, ​to December 31, 2006. According to the research, sudden hearing loss (defined as having loss of 30 decibels or more in at least three contiguous frequencies over a few hours to three days) occurred almost twice as frequently in HIV patients aged 18 to 35 but not in those 36 years of age or older. While the investigators were unable to conclude that HIV was the principle cause for such loss—particularly since factors like noise exposure and smoking were excluded from the analysis—the scale of the study does suggest that HIV may, in some part, be a contributing factor. Similarly, a 2012 study from the National Institutes of Health (NIH) research network suggested that children infected with HIV in utero (in the womb) are two to three times more likely to have hearing loss by the age of 16 than their non-infected counterparts. For this study, hearing loss was defined as being able only to detect sound 20 decibels or higher than what might be expected in the general adolescent population. The NIH study further concluded that the same children are almost twice as likely to experience hearing loss than children exposed to HIV in utero but not infected. This strongly suggests that HIV infection, in and of itself, affects the development of the auditory system and may explain why younger adults with HIV report sudden, transitory hearing loss in later life. Could Antiretroviral Drugs Be a Cause? Linking hearing loss to antiretroviral therapy (ART) has become an even more contentious issue than linking loss to HIV itself. Since the mid- to late-1990s, a number of small studies had suggested ART, as an independent factor, was associated with an increased risk of hearing loss. Most of these studies have since been questioned given that individual drug agents had never evaluated and factors like disease stage, ART initiation and adherence were never included. A small, 2011 study from South Africa did seek to investigate the impact of stavudine, lamivudine, and efavirenz (readily use in first-line ART in the U.S. from the late-1990s to early-2000s) on hearing. And while the data did show slightly elevated rates of impairment among HIV-positive patient on ART, the investigator fell short of linking those losses to the drugs themselves. Despite the paucity of evidence, there are concerns that not enough attention is being paid to the ontological (ear-associated) effects of antiretroviral drugs, including drug-related mitochondrial toxicities that can potentially enhance or exacerbate HIV-associated disorders, particularly those affecting the neurological system. As more and more focus is being placed on both quality of life and the avoidance of aging-related disorders in long-term infection, greater strides may need to be taken in order to provide definitive answers to the question of hearing loss in the HIV-infected population. Khoza-Shangase, K. "Highly Active Antiretroviral Therapy. Does It Sound Toxic?" Journal of Pharmacy and Bioallied Sciences. January-March 2012; 3(1):142-153. Lin, C.; Lin, S.; Weng, S.; et al. "Increased Risk of Sudden Sensorineural Hearing Loss in Patients With Human Immunodeficiency Virus Aged 18 to 35 Years: A Population-Based Cohort Study." JAMA Orolaryngology - Head & Neck Surgery. March 2013; 139(3):251-255. Marra, C.; Wechkin, H.; Longstreth, W.; et al. "Hearing Loss and Antiretroviral Therapy in Patients Infected With HIV-1." Archives of Neurology. April 1997, 54(4):407-410. Torre, P.; Hoffman, H.; Springer, G.; et al. "Cochlear Function Among Multicenter AIDS Cohort Study (MACS) and Women's Interagency HIV Study (WIHS) Participants." 16th IAS Conference on HIV Pathogenesis, Treatment and Prevention; Rome, Italy; July; 17–20 2011; abstract TUPE138. Torre, P.; Hoffman, H.; Springer, G.; et al. "Hearing Loss Among HIV-Seropositive and HIV-Seronegative Men and Women." JAMA Orolaryngology - Head & Neck Surgery. March 2015; 141(3):202-210.